Skill Details: Beginner to Advanced ! Requirements: Pro Stitcher Tablet The Simulator needs to be installed prior to event .Please call (405) 495-4699 or (405)794-0026 if you need help installing . Instructor Bio: Mary Fisher has been a National Educator for Handi Quilter for 3 years and a lover of all things Pro-Stitcher for 8 years! 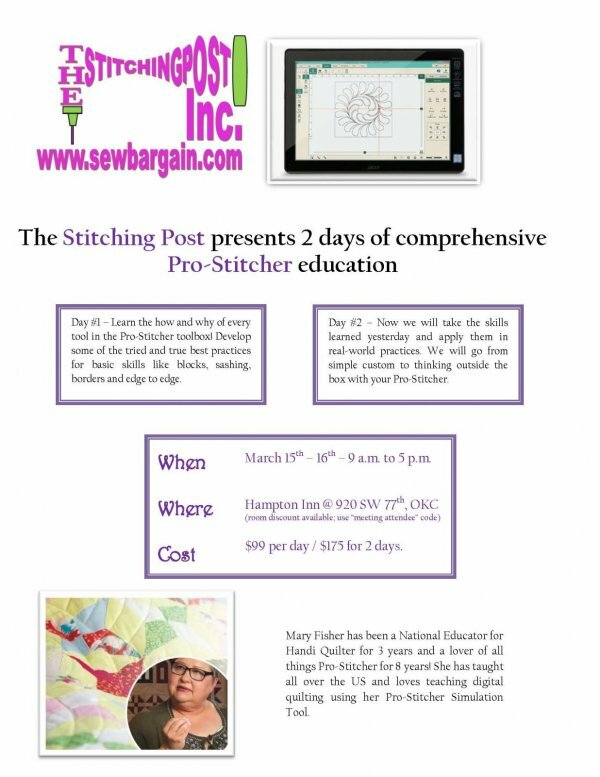 She has taught all over the US and loves teaching digital quilting using her Pro-Stitcher Simulation Tool.